A lot of the accessories and smaller tools you need can be knocked out in one blow if you’re just getting started and don’t have much of what’s needed. PSI offers a few different starter packs through Amazon in case you’re interested in taking a look: Pen Making Starter Pack 1, Pen Making Starter Pack 2, Pen Making Starter Pack 3. They decrease in price as you go along, but you’ll get more kits, more supplies, and more tools for the higher priced packs. All three of them are a really good value and save you the time of clicking through websites buying each component one piece at a time. 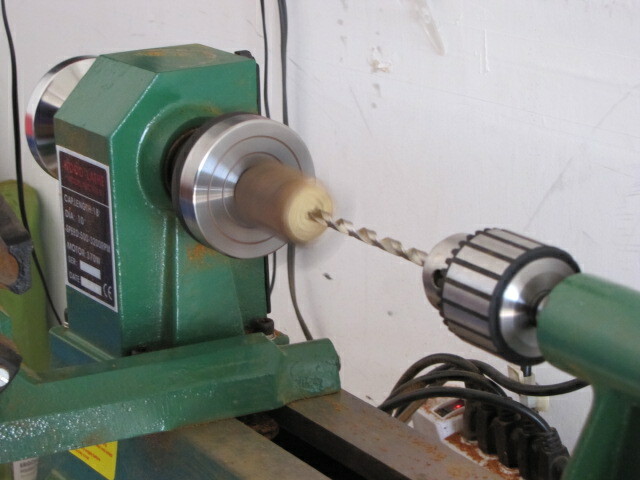 You’ll also notice that I drill my pen blanks on my lathe rather than using a drill press. 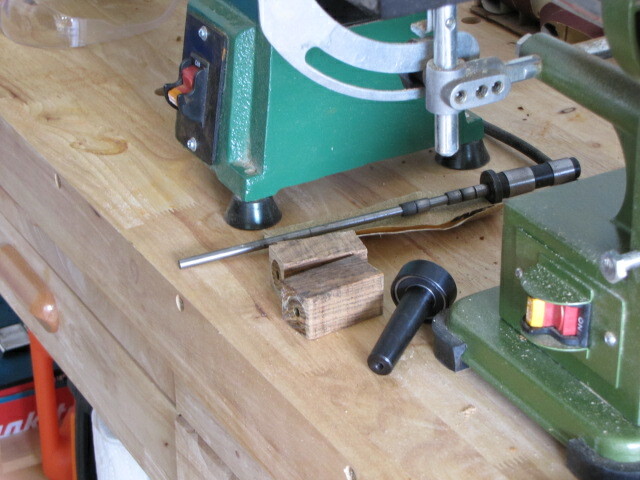 I used to drill my blanks using a drill press, but after a few years I sprang for the dedicated pen blank drilling chuck above because I get a perfectly center, perfectly straight hole every single time now. That’s saved me a lot of difficulty and frustration, even though it takes a little more time. 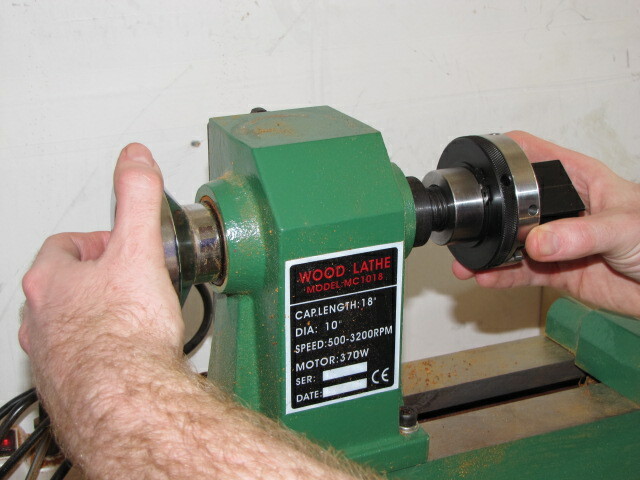 If you do decide to use a drill press for drilling your blanks, you should make sure that you own a pen blank drilling vise to give you the best results possible. 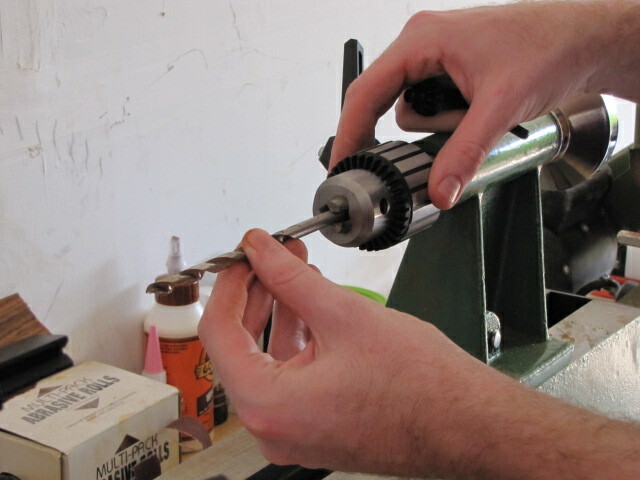 Scroll to the top of this page and click “Step 1” to read about measuring out your pen blanks. 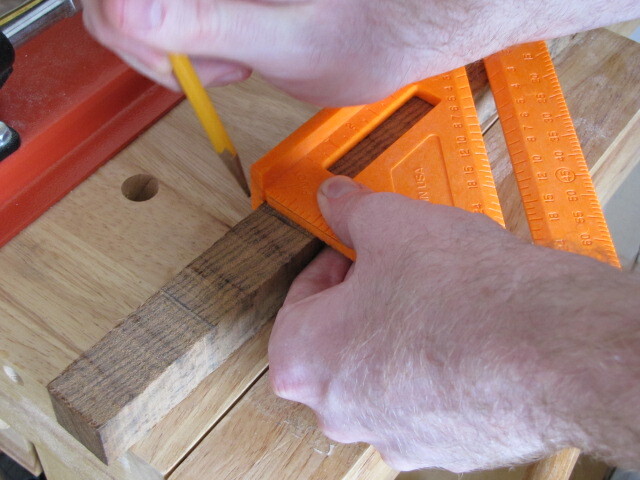 Measuring out the blocks you’ll need to turn a slimline pen is pretty simple. 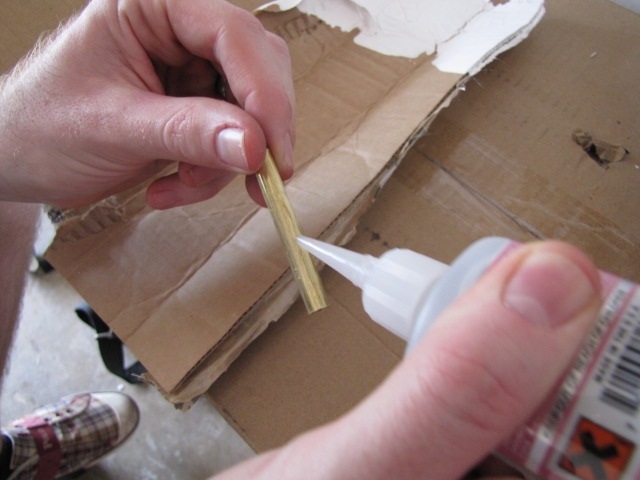 You simply take your brass tubes, lay them across the blank, and mark that spot on your blank with a pencil. 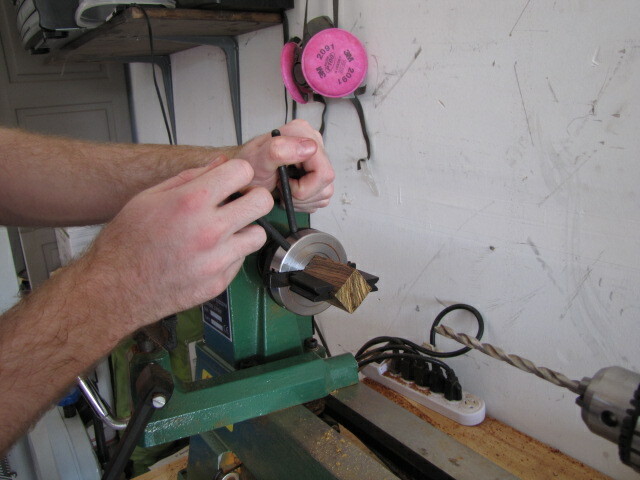 I usually leave right around 1/8″ or 3mm slack just in case something goes wrong with cutting or drilling. For slimline pens, measuring the second blank is pretty simple since both tubes are the same dimensions. Just take the same tube, set the back end of it where you left your first mark, and mark again leaving 1/8″ or 3mm of padding. 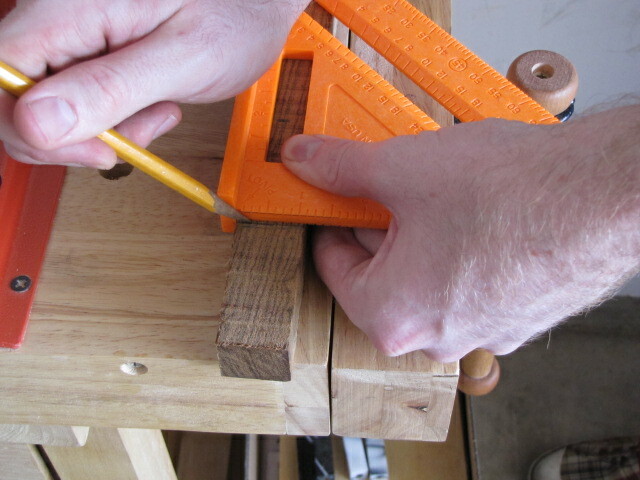 After you’ve marked both of your little hash marks, you’ll want to use a straightedge to mark a full line across the blank to use as a guide when cutting. I use a speed square. 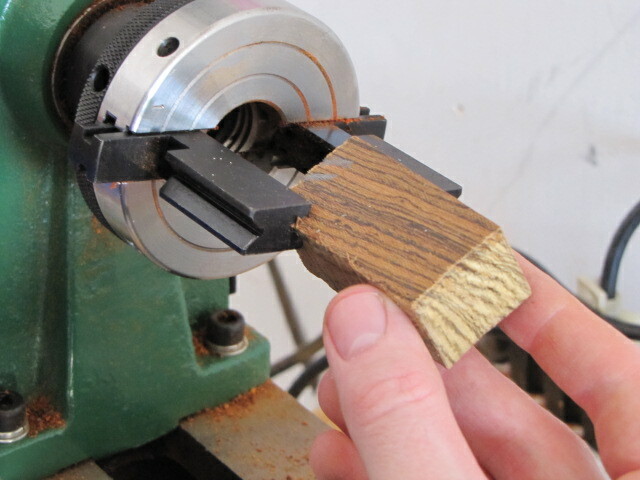 Scroll to the top of this page and click “Step 2” to read about cutting your pen blanks. 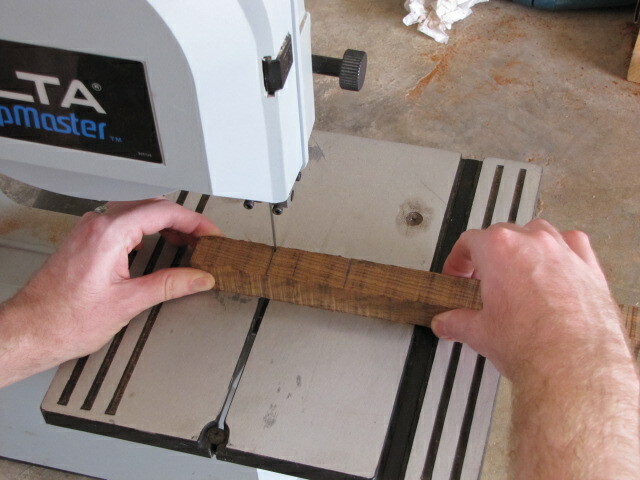 Now that you have your blanks measured, it’s time to head over to the saw and cut them. I’m going to warn you ahead of time, when I prepared this tutorial I had recently purchased this bandsaw off of Craigslist and hadn’t taken the time to tune it yet or change the 1/4″ blade to something a bit thicker. 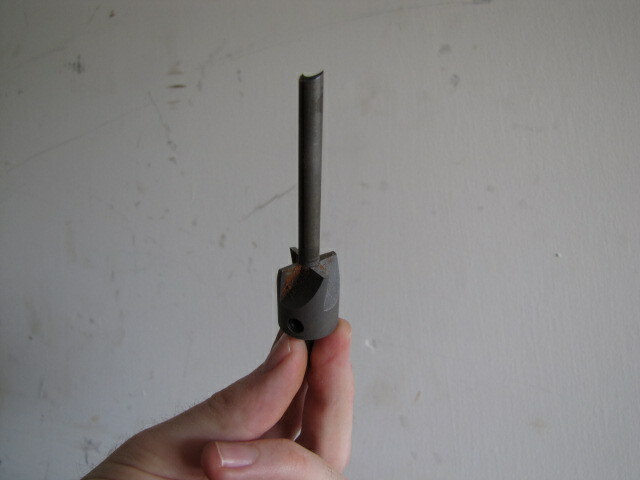 As a result, I’m going to give you a really good example of how a bandsaw cuts when it’s in dire need of a tune-up. 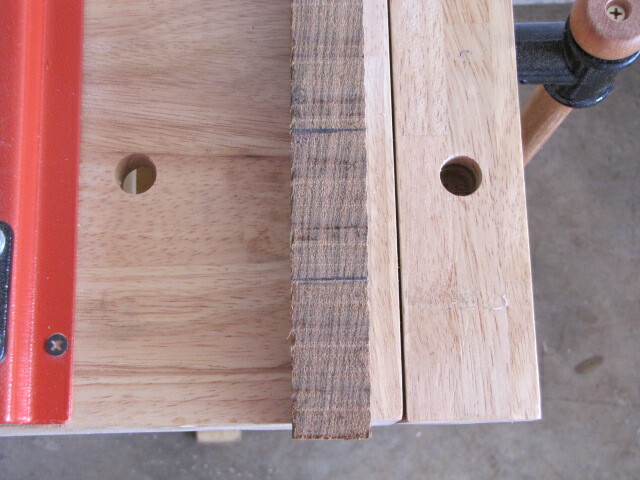 If your bandsaw cuts like mine does in these pictures, it needs a little… attention. I’ve also cut blanks by hand using a hacksaw or using a vise/reciprocating saw and a vise/circular saw back in the days when I didn’t have the $100-$200 to buy a tabletop bandsaw. They all work, just make sure you’re giving yourself the aforementioned 1/8″ or more padding to make up for how crooked those cuts are going to be. Out of all the tools I’ve used, a bandsaw has proven to be the best by far. With all of that in mind, head over to your saw and make your cuts. It’s pretty simple – just follow the lines and keep the cut as straight as possible. My cut started off just fine, but about halfway through the cut my non-tuned bandsaw decided that it had other plans and I had to compensate to stay as on-track as possible. This is where that 1/8″ slack I gave myself earlier comes in handy. This next step is something you can do before you cut the blanks, or after depending on your preference. Without fail, one of the most impressive things to people when I give my pens as a gift or sell them is the “grain match”. 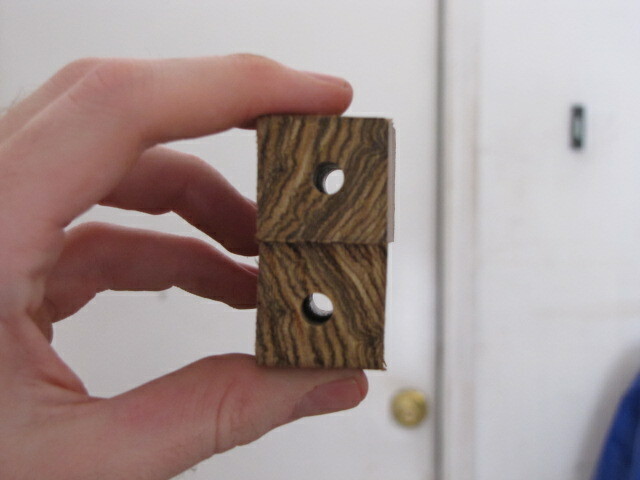 In case you don’t know exactly what a grain match is, it’s where the original wood grain lines back up after you’ve turned and assembled the pen. Even after all of these years, it’s a pretty cool thing to see when you’re done. A grain match takes more effort in some pens than others, but in a slim pen it’s pretty simple. 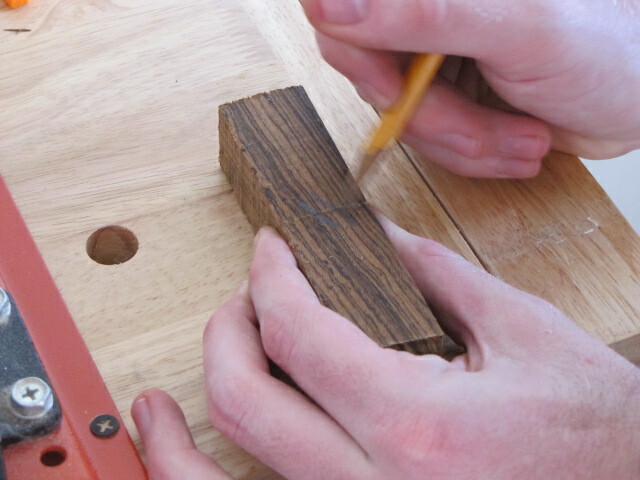 The first step of this process is to mark a couple of small, diagonal hash marks with a pencil across both of the blanks. 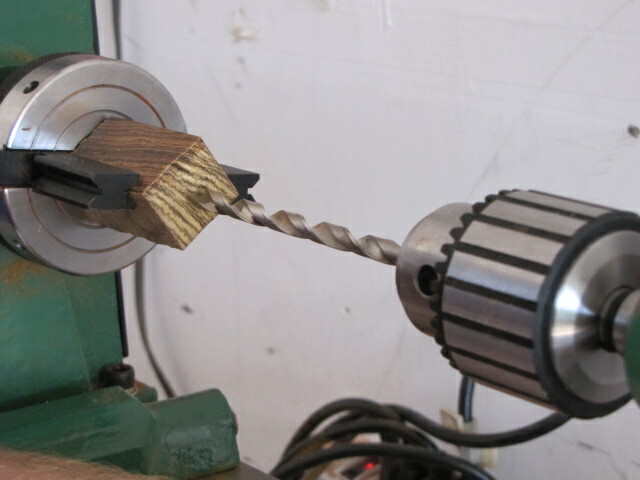 I’ll use these little hash marks throughout this pen turning tutorial to determine which side I drill into, which side I insert the brass tubes into, and ultimately which ends of each blank I assemble the pen kit components into. 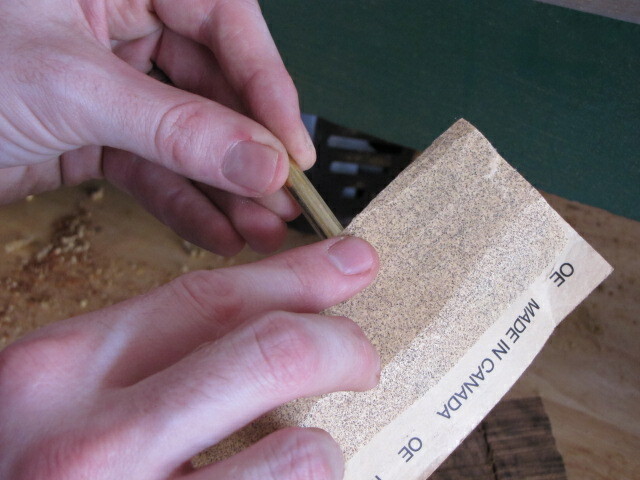 Note: A grain match takes a little extra time and attention but is not at all necessary. It’s pretty cool and impresses people by showing that you pay attention to fine details. 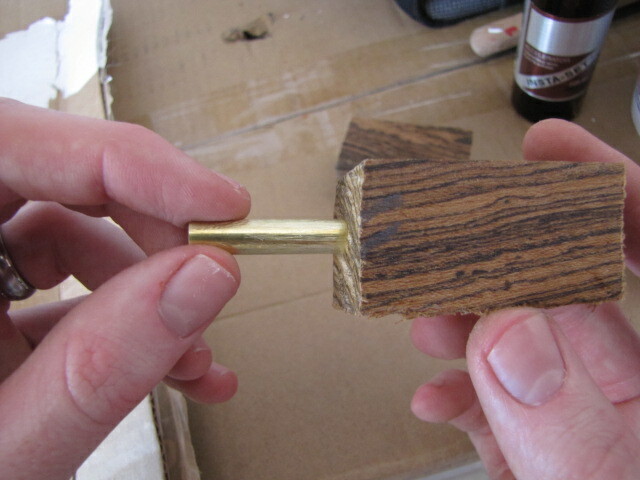 The only consequence of removing these steps is that the grain won’t match up. Not really a big deal in the grand scheme of things, so if you lose track of the grain match along the way don’t kick yourself too much. Just keep on going and try again next time. You’ll still have a gorgeous pen if you follow the other steps in this tutorial. 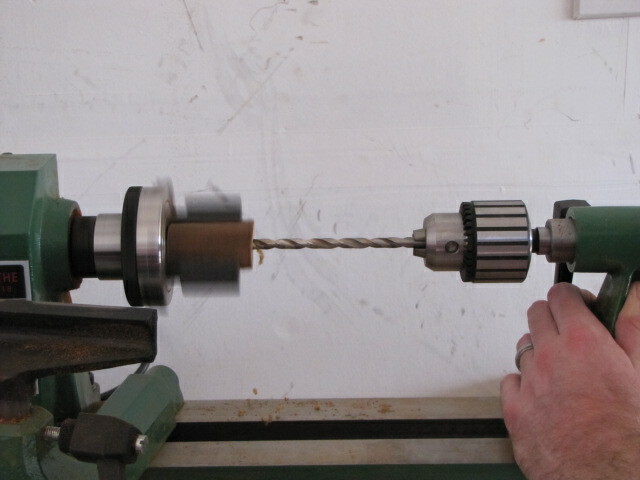 Scroll to the top of this page and click “Step 3” to read about drilling your pen blanks. 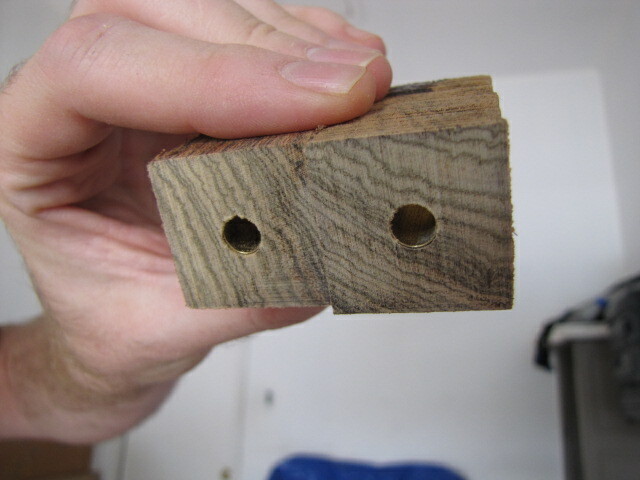 Again, you can use a drill press instead of this solution, just make sure you have a pen blank drilling vise to help you get the straightest, most centered holes possible. 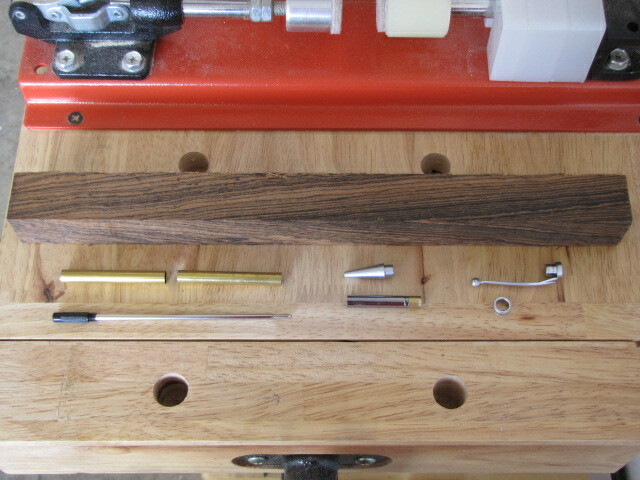 After I’ve set my lathe up for drilling, I grab my blanks and put the side I’ve marked for grain match in first, toward the headstock. 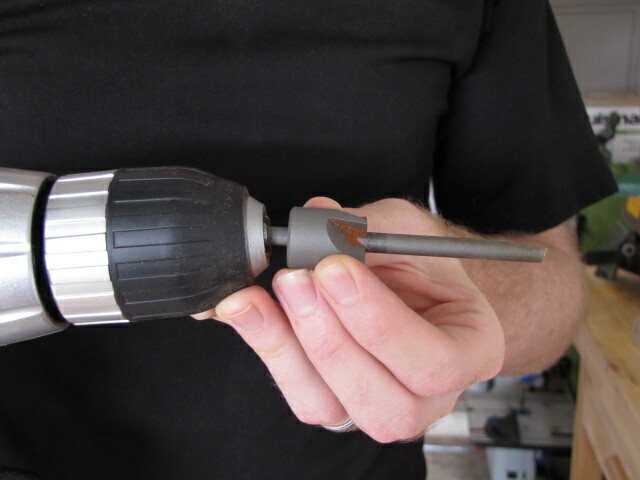 If you’re drilling with a drill press, this side should be on the bottom, against the table as you drill. 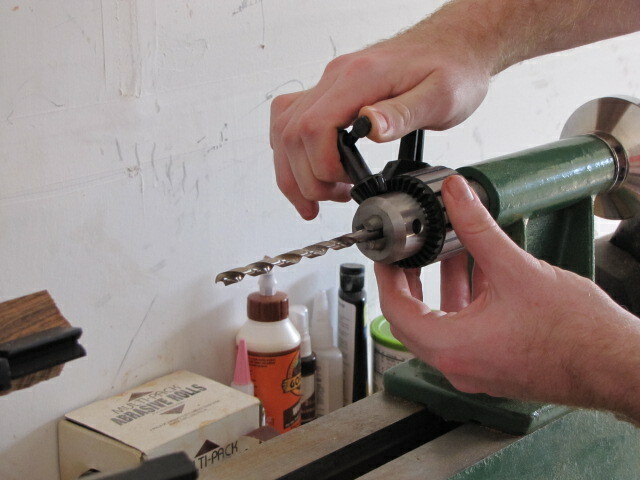 After inserting the blank, I tighten the dedicated pen blank drilling chuck with the included keys. 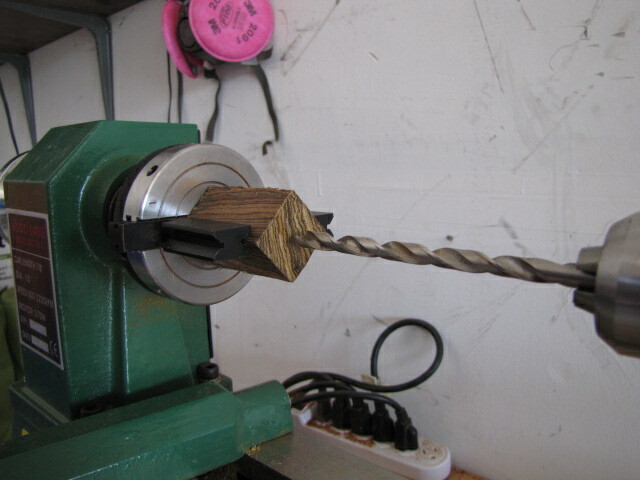 Now that my pen blank is securely fastened in the chuck, I setup my drill chuck which I inserted into my tailstock earlier with a 7mm bit. 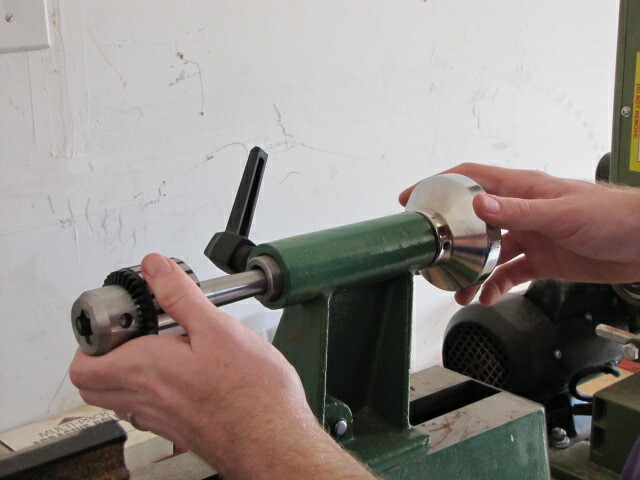 Pull the tailstock up to the pen blank, lock it into place, turn on the lathe, and slowly turn the tailstock handwheel to press the drill bit through the pen blank as far as the tailstock will extend. 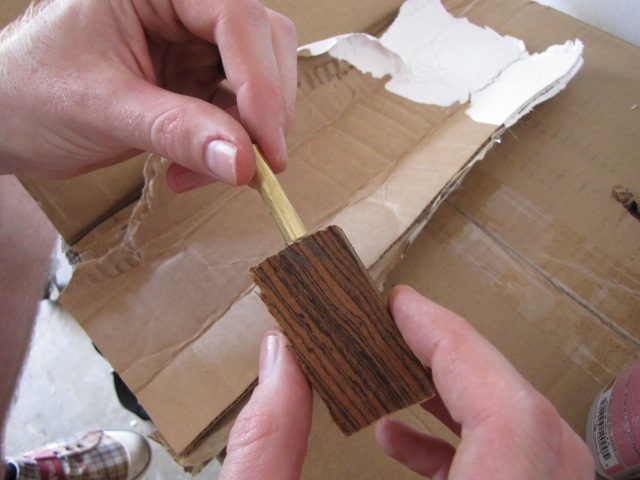 Make sure you back the bit out regularly to clear the shavings, otherwise it can become too tightly packed and blow out the bottom of the blank. 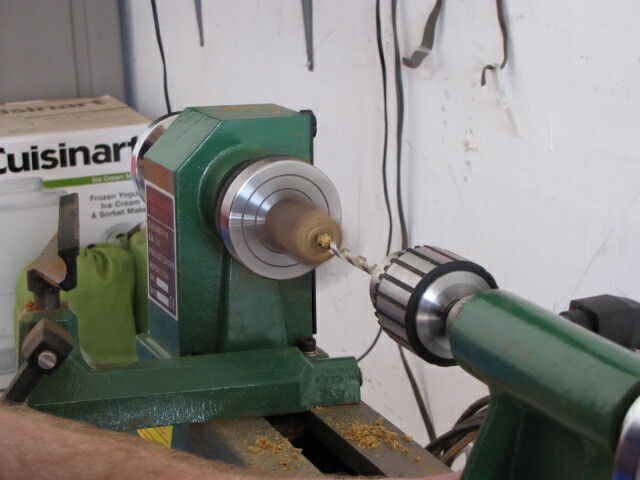 If the tailstock becomes fully extended before you’re all of the way through the blank, turn your mini-lathe off, fully retract the tailstock by turning the tailstock handwheel in the opposite direction as far as it will go, unlock the tailstock, pull it forward inserting the drill bit back into the pen blank as far as it will go, then turn the mini-lathe back on and finish drilling the hole. 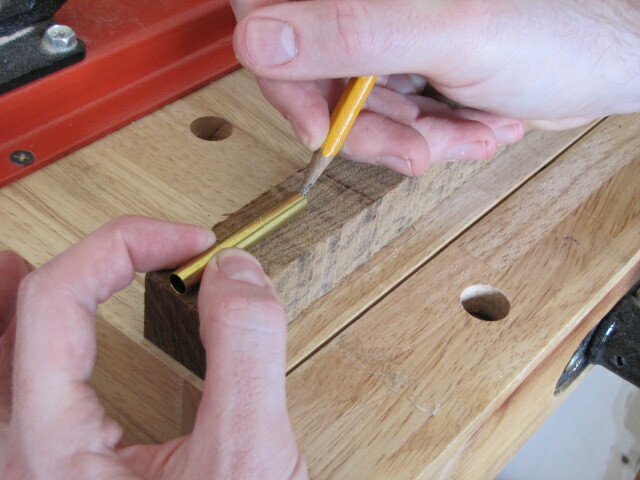 Repeat all of the steps above for your other pen blank, and then you’ll have two blanks ready to receive their brass tubes, which will act as the foundation of your pen. 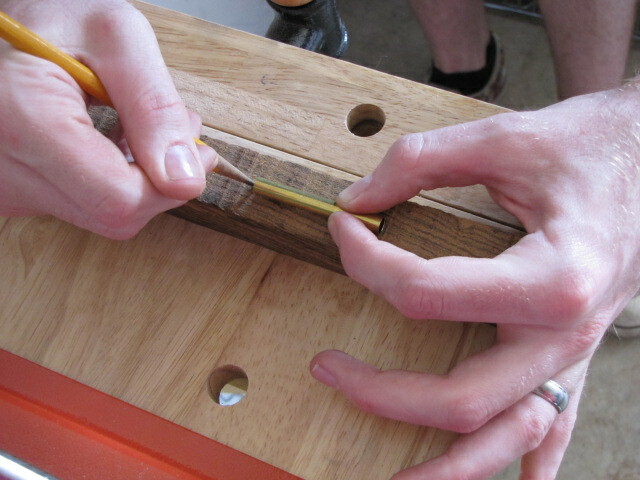 Scroll to the top of this page and click “Step 4” to read about gluing the tubes into your pen blanks. 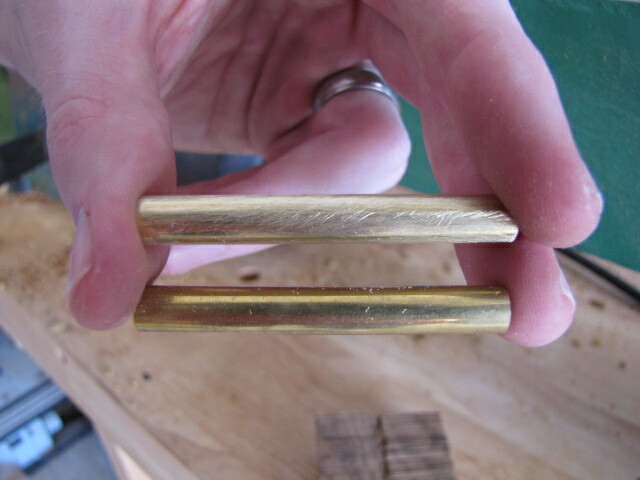 Now that your pen blanks are measured, cut, and drilled it’s time to glue the brass tubes into the drilled blanks. These brass tubes will serve as the foundation of your pen and ultimately be what all of the components are assembled into, so it’s important that this is done properly. 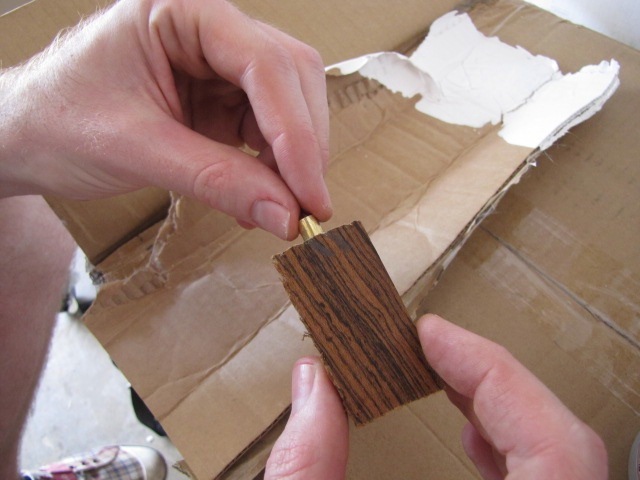 You should sand the brass tube until there are noticeable abrasions covering the entire tube. Here is a side-by-side of a tube I haven’t sanded vs. one that I have. Do the same thing to the second tube and then wipe both tubes with a paper towel. 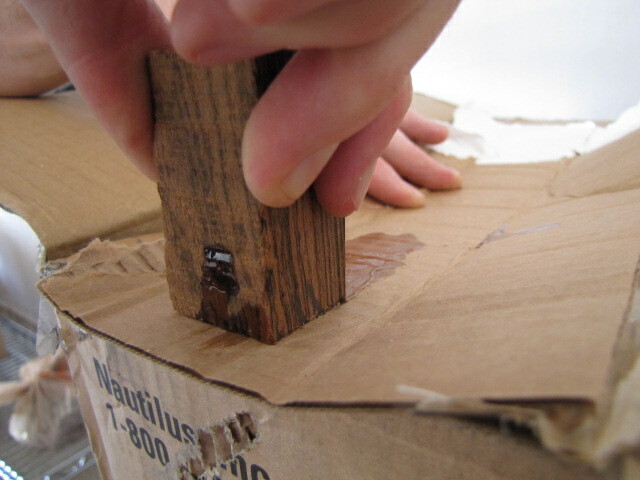 I don’t think this step is really necessary, but I want to make sure that I remove any spare sand from the sandpaper so the bond is sure to be as strong as possible. Okay, let’s glue! Flexible CA glue is preferred by most pen turners I’ve spoken with because it has a little “give” which can be helpful to prevent shattering your blanks when they’re on the lathe. Apply the CA glue all around the tube liberally. If you are worried about getting CA finish on your fingers during this process, they make pen tube insertion tools that you can buy but personally I prefer the control of holding it with my fingers. Besides, I’ve gotten used to living with CA finish on my fingers after years of pen turning. By the way, you’ll want something you don’t care about getting glue on underneath your pen blank as all of this is happening. There’s likely going to be some excess glue dripping off of your blank. All of the above happens very quickly, along with the following step. After you’ve twirled and pushed the tube almost completely into the blank, turn the blank vertically and press the tube into the pen blank using a surface that you’re okay ruining. 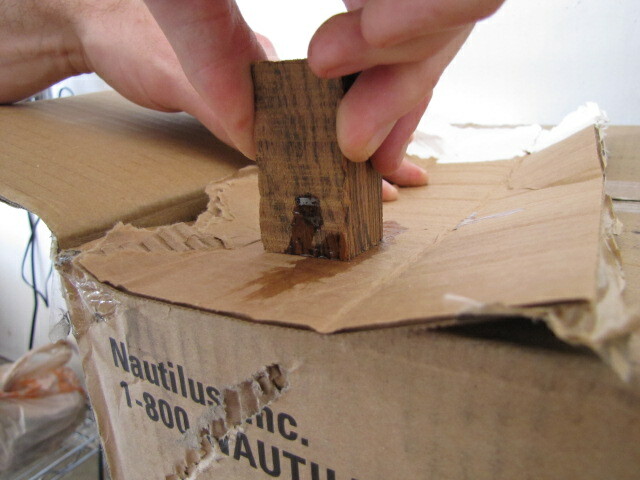 Then drag the blank to remove most of the excess glue. 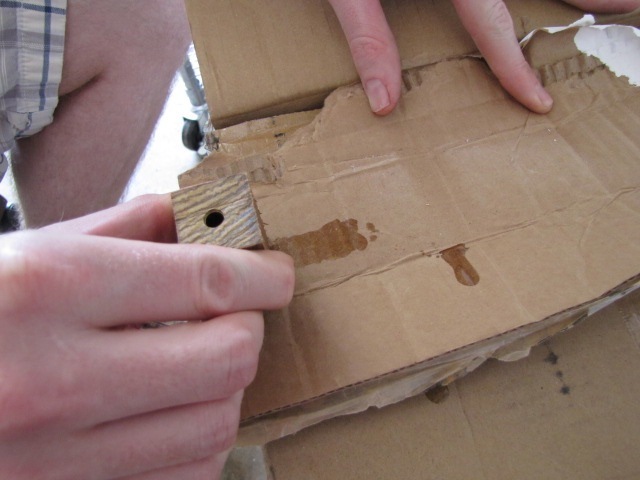 I usually use a piece of scrap cardboard. 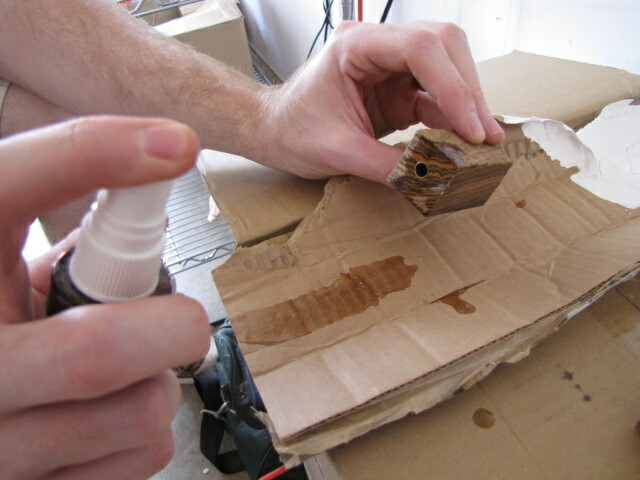 This will cure on it’s own within a couple of hours if left alone, but if you want to make sure your blanks don’t get stuck to the surface you set them on (or to each other), apply a spritz of accelerator to the glue-covered end. Repeat all of the steps above for the second blank and leave them to cure for the next couple of hours. 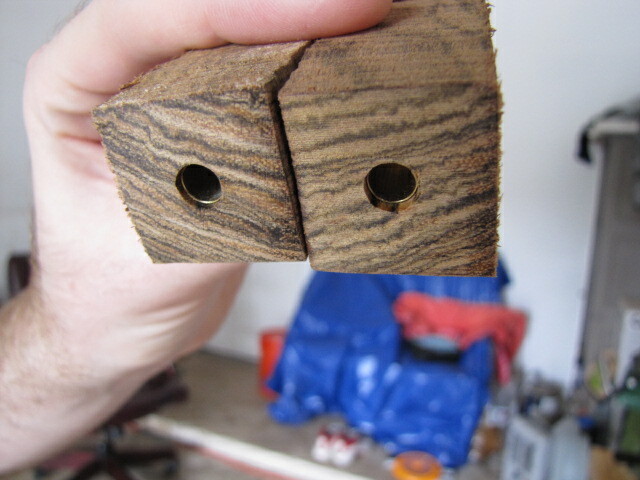 Even if you’ve applied accelerator to the ends, the CA glue inside is still curing so give it some time. If you’re not patient enough to wait 2-3 hours for the glue to cure completely, you can probably get away with waiting 15-30 minutes. I used to do it all of the time when I was a kid, but I prefer to exercise a little more patience when pen turning these days. 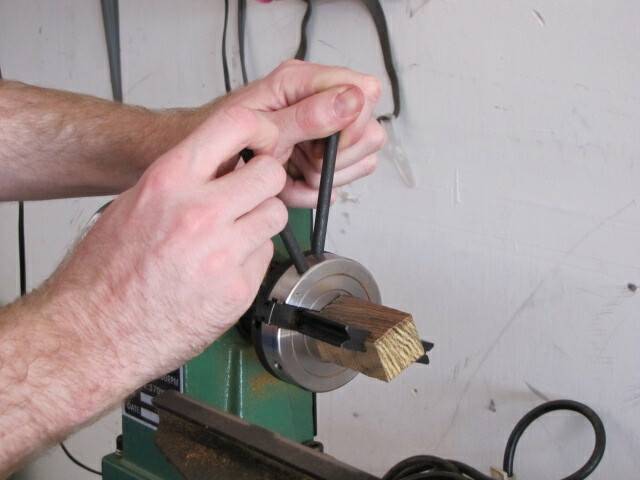 Scroll to the top of this page and click “Step 5” to read about sanding and milling your pen blanks. 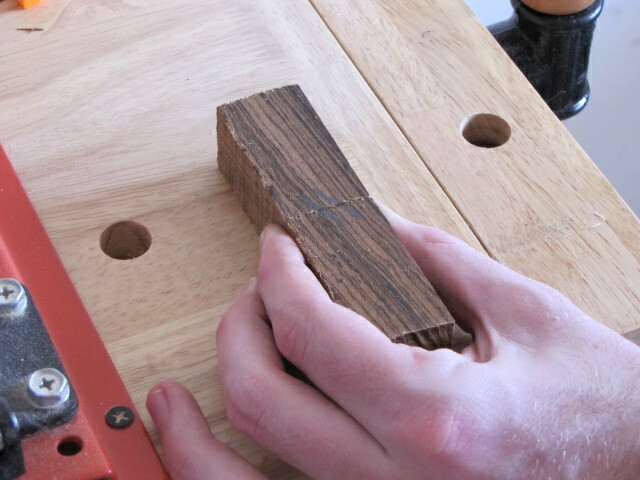 Now it’s time to remove all excess material on the ends of the pen blanks before we move onto turning. 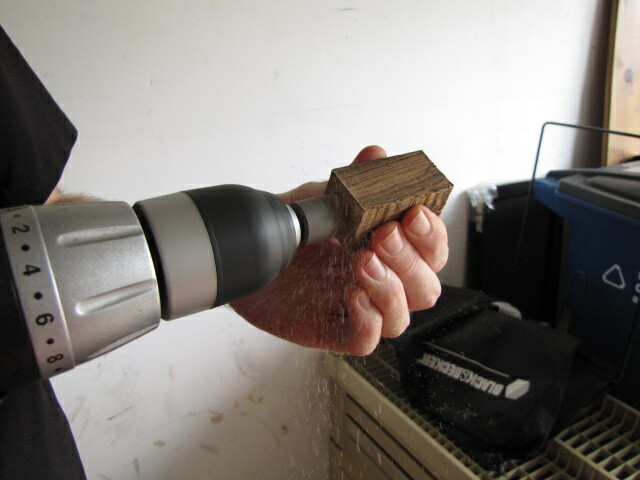 This is done using a belt sander and a pen mill. It is extremely important that you follow the instructions in this step very closely. Otherwise you could end up with a cracked pen, or a pen with gaps between the pen kit components and your finished blanks. When we cut our blanks, we left around 1/8″ of material just in case anything went wrong, and now it’s time to take that off. This is where a respirator really comes in handy. 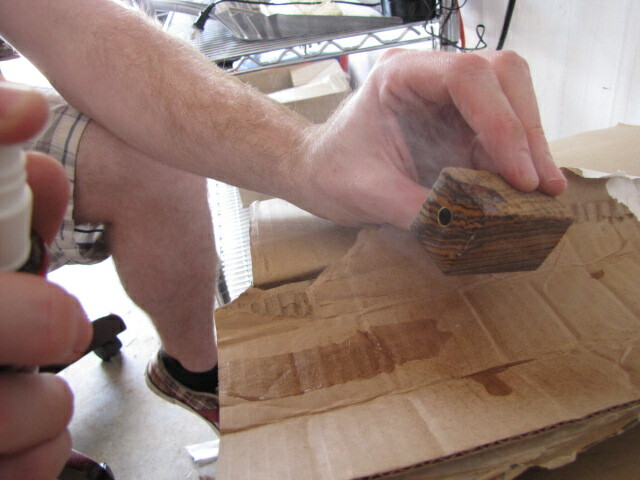 Otherwise you’ll probably be blowing sawdust into a tissue and trying to cough it out for a few days. 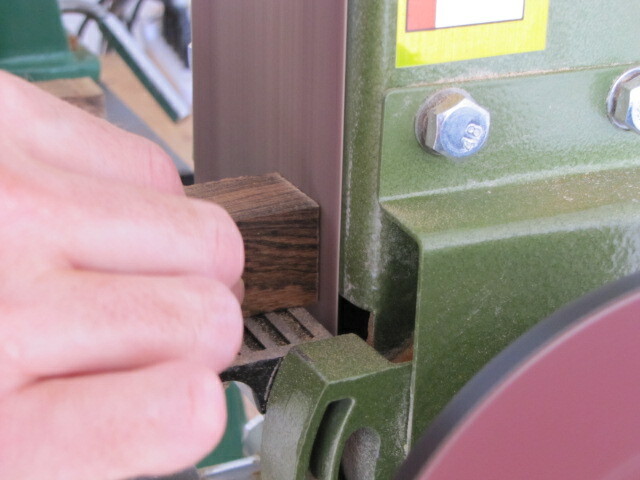 There are really only three things to pay attention to when working your pen blanks on a belt sander: Keep even pressure on the blank as you sand, keep it moving constantly, and leave just a tiny bit of material (in other words don’t take it all of the way down to the brass). See how I’ve left just a tiny bit of material on the end of the blanks? 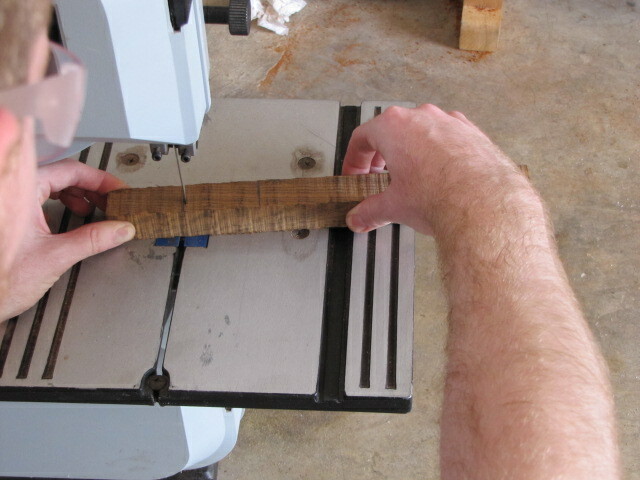 Now it’s time to move onto the pen mill, and then we can finally start turning. Trust me when I say that there aren’t many things more disappointing than spending hours making a perfect, beautiful pen, beginning to assemble it, then hearing a tiny *crack* due to excess glue left inside the tube or pressing the accessory all of the way up to the completed blank only to see that there are seemingly gigantic gaps staring back at you in an otherwise perfect pen. And that is why I believe the pen mill is one of the most important tools in a pen makers shop. I usually set mine in my drill which is pretty self explanatory, but I’ve taken a picture just in case. 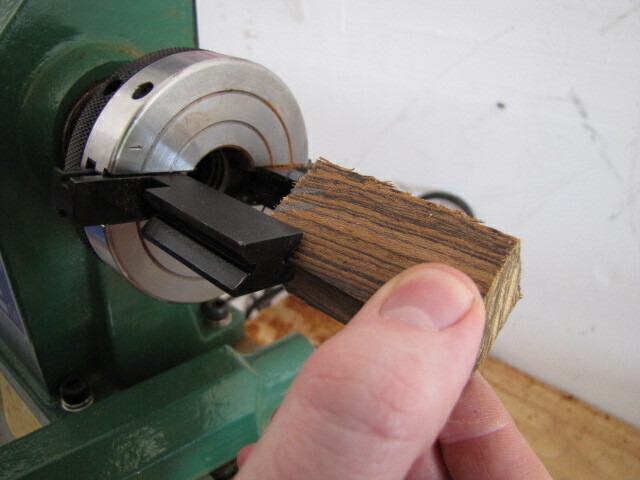 Insert the pen mill into pen blank and turn it until you’re down to the brass tube. 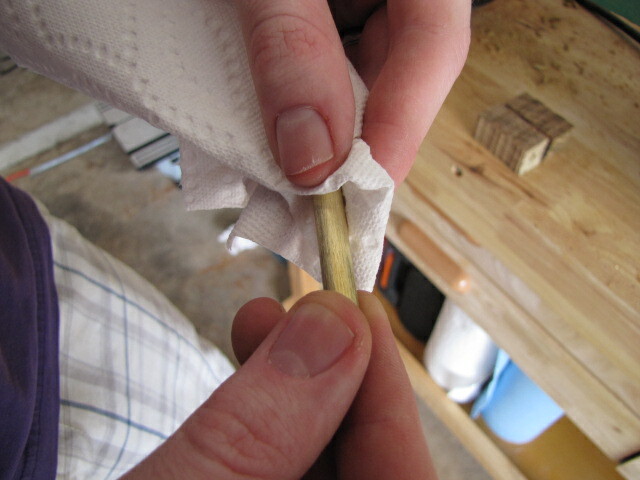 Try to take off as little brass as possible, but make sure you don’t leave any excess material. 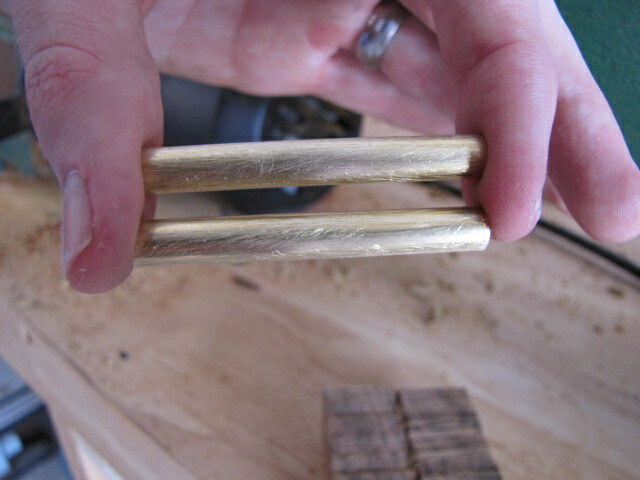 Make sure you mill both ends of both blanks until you have at least CLOSE to a perfect circle while making sure to take off as little brass as possible. That circle signifies that you’re going to have perfectly flush edges when it’s time for assembly, so it’s extremely important that you take your time during this step. 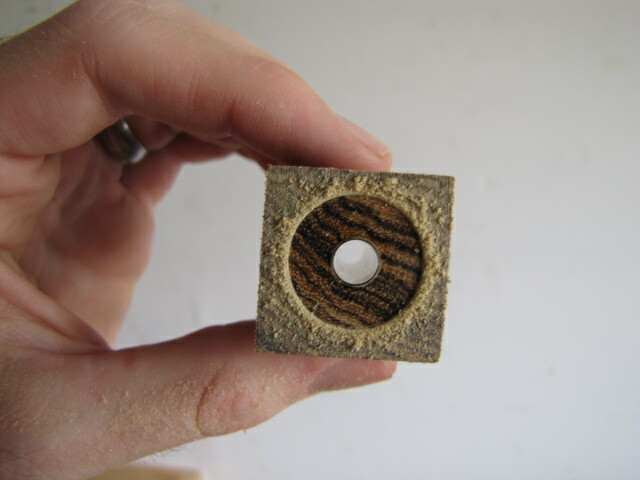 Now that you have two perfectly sanded and milled blanks, it’s time for the fun part: Turning. Thanks, Gerrit! I’m really happy that you found it helpful. Thanks for stopping by! 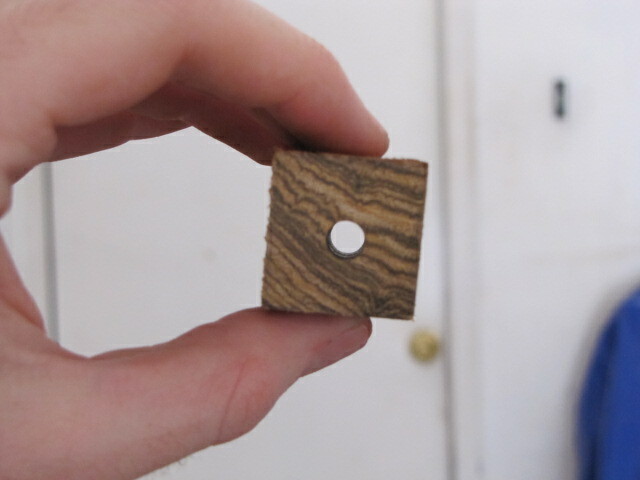 How do you center the pen blank to the 2 jaw chuck? It is not self-centering like the 3 jaw chuck is it? What’s the best speeds to cut wooden pen blacks and Acrlic pen bland. For polishing done on the highest speed. What is the wood you are using for the above tutorial? The reason I ask is my father passed away and my mom told me to come up and go through his wood stash. I found a chunk of this wood and turned my first pen from it and it looks great but I have no idea what type of wood it is. Try cellophane tape, CA glue does not stick to it very well. I’m a antique restorer with over 40 years experience but I must confess I’ve never thought about making a pen , until now that is . Very informative tutorial and very professional . I started pen turning when I was 14 years old, and here I am now over 10 years later doing the best I can to give great free lessons to pen turners around the world. Free Guide: Never Bust or Crack a Pen Again!